What is today known as the Bhakti Movement had its genesis in the South of India in the 6th century CE. It is characterized by the writings of its poet-saints, many of whom were female, that extolled passionate devotional love for the Divine. 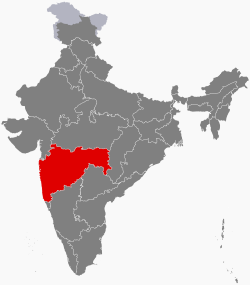 The Bhakti Movement gained momentum from the 12th centuries in the central western regions of India, then moved northward, coming to an end roughly in the 17th century. The Hindu tradition has generally been divided into a number of important historical and religious periods through its long development. The formative time frame from 2500–400 BCE is highlighted by what are known as the sacred texts, the Vedas, and a nomadic people known as the Indo-Aryans; this period is classified as the Vedic Period. Central to the Vedas was the visionary figure of the rishi, or seer, one who was able to communicate with and about the various gods of the Vedic pantheon through a complex system of rituals that could only be conducted by an increasingly powerful priesthood. Liberation, or moksha, was to be found through the precise performance of ritual. The Epic and Classical Periods, from 400 BCE–600 CE are so named because of their focus on important texts, namely, the Mahabharata and the Ramayana. These epics are concerned with heroes and heroic battles, kings, queens, and ideal roles of individuals. Also of central importance to this time frame were Law Books concerned with the ideal nature of society. Social order and stability were to be found in a hierarchical ordering of people as well as specific roles assigned to each individual’s life stage (ashrama) and position in society (varna) or caste. On the upper rung of this system was the Brahmin priesthood, followed by Kshatriyas (warriors) and Vaishyas (merchants), also known as twice-born classes. Only these groups were enabled to take part in an initiation ceremony known as the “sacred thread,” study the Vedas, and take part in Vedic rituals. Beneath these three groups were the Shudras, those who were servants to the upper three varnas. Underneath this rung came another subsection, the Untouchables, those whose occupations were so polluting that they did not even qualify to fit within an ordered society. The way to liberation from rebirth or moksha was in a true understanding of dharma, recognition and maintenance of the good of the social order, as exemplified and regulated by the Epics and Law Books. The Medieval Period followed, of which the Bhakti Movement was an integral aspect. This was due in part to the rise of a new line of kings, the Gupta lineage (320 CE) that supported the pantheon of gods through worship of divine images (puja) and also included the building of temples and support for devotional groups. Alongside these developments came a flourishing of mythical compositions about the gods, known as the Puranas, or, “ancient stories.” Central to this pantheon were the gods Vishnu, the cosmic king, and Shiva, the great yogi and ascetic known by many names, and his feminine counterpart, Shakti, or divine energy. Shakti was worshipped both as wife and consort of Shiva, but also in her own right as the Great Goddess in a variety of manifestations. Most Hindus, today, identify themselves with the worship of one of these gods. Devotees of Vishnu in his many incarnations—known as avatars, Krishna and Rama being the most popular manifestations—are called Vaishnavites. 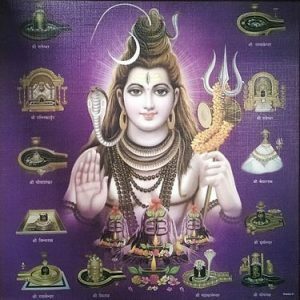 Those worshiping Shiva are known as Shaivites, whereas followers of the feminine divine are Shaktas. 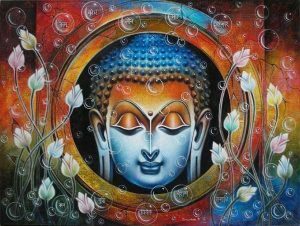 Devotees within each strand focus on their god or goddess as Ultimate Reality, thus having a distinctly monotheistic outlook, while at the same time acknowledging that the Divine takes many forms for the benefit of humanity. While the differences between these two branches are indeed important, their overarching similarities cannot be minimized; both focused on singular devotion, mystical love for God, and had a particular focus on a personal relationship with the Divine. Given their belief in the centrality of personal devotion, poet-saints were highly critical of ritual observances as maintained and fostered by the Brahmin priesthood. For many, their critique also included the caste system that supported the traditional religious hierarchy, with Brahmins at the head of this hierarchy. Many poet-saints, particularly as the movement developed northward, were themselves of lower caste lineages. Another commonality was their usage of the vernacular, or regional languages of the masses, as opposed to the sacred language of the elite priesthood, Sanskrit. This practice, too, stemmed from the movement’s focus on inner, mystical, and highly personal devotion to the Divine. 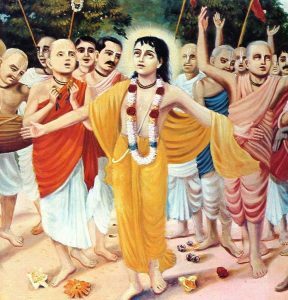 Many of the bhakti poet-saints rejected asceticism as the crucial means toward liberation; some bhaktas were instead householders. As well, themes of universalism, a general rejection of institutionalized religion, and a central focus on inner devotion laid the groundwork for more egalitarian attitudes toward women and lower-caste devotees. Women and shudras, both at the bottom of the traditional hierarchy ordering society, became the examples of true humility and devotion. Female poet-saints also played a significant role in the bhakti movement at large. Nonetheless, many of these women had to struggle for acceptance within the largely male dominated movement. Only through demonstrations of their utter devotion to the Divine, their outstanding poetry, and stubborn insistence of their spiritual equality with their contemporaries were these women reluctantly acknowledged and accepted within their ranks. Their struggle attests to the strength of patriarchal values within both society and within religious and social movements attempting to pave the way for more egalitarian access to the Divine. The imagery of bhakti poetry is grounded in the everyday, familiar language of ordinary people. Women bhaktas wrote of the obstacles of home, family tensions, the absent husband, meaningless household chores, and restrictions of married life, including their status as married women. In many cases, they rejected traditional women’s roles and societal norms by leaving husbands and homes altogether, choosing to become wandering bhaktas; in some instances they formed communities with other poet-saints. Their new focus was utter devotion and worship of their Divine Husbands. Caste status and even masculinity were understood as barriers to liberation, in essence a rejection of the hierarchy laid out by the Law Books of the Classical Period. Male bhaktas often took on the female voice calling to her Beloved, utterly submissive to His desires. However, while male bhaktas could engage in this role-playing on a temporary basis, returning at will to their privileged social status as males, women bhaktas faced overwhelming challenges through their rejection of societal norms and values, without having the ability to revert back to their normative roles as wives, mothers and in some cases, the privileges of their original high-caste status. While it is tempting to see women’s participation within the bhakti movement as a revolt against the patriarchal norms of the time, there is little evidence to support this perspective. Injustices and the patriarchal order itself were not a major focus of these poet-saints. Women bhaktas were simply individuals attempting to lead lives of devotion. Staying largely within the patriarchal ideology that upheld the chaste and dutiful wife as ideal, these women transferred the object of their devotion and their duties as the “lovers” or “wives” to their Divine Lover or Husband. Nonetheless, that their poetry became an integral aspect of the bhakti movement at large is highly significant and inspirational for many who look to these extraordinary women as ideal examples of lives intoxicated by love for the Divine. Further, it would appear that with the movement’s northward advancement (15th through 17th centuries), its radical edge as it pertained to women’s inclusion was tempered. Greater numbers of women took part in the movement’s earlier development (6th to 13th centuries); it is largely male bhaktas and saints that are today perceived as the spokespersons for the movement in its later manifestations. The poetry of women bhaktas from this latter time period is generally not indicative of a rejection of societal norms in terms of leaving family and homes in pursuit of divine love. Instead, some of the later poet-saints stayed within the confines of the household while expounding on their souls’ journeys, their eternal love for the Divine, as well as their never-ending search for truth. The poets outlined below represent a panorama of female poet-saints within the Bhakti movement. Some were extraordinarily radical in their rejection of social norms and values, leaving husbands, families, and society behind in order to extol their love for God. Others attempted to fit into more traditional roles in society by maintaining their responsibilities as wives and mothers. All wrote exquisite poetry that has been passed on through bards and singers throughout India. Akkamahadevi, also known as Akka or Mahadevi was a bhakta from the southern region of Karnataka and a devotee of Shiva in the 12th century CE. Legends tell of her wandering naked in search of her Divine Lover; her poetry, or vacanas tell of her frustration with societal norms and roles that restricted her. They also bear witness to her intense, all-encompassing love for Shiva, whom she addresses as Chennamallikarjuna. Through Shiva and Shiva alone is her love fulfilled; through separation from her “lord white as jasmine” is her heart broken. In this 12th century vacana (poem), Akkamahadevi, or Akka, is lamenting her separation from her lord, Siva, (Lord White as Jasmine). At times in Akkamahadevi’s poetry, Siva is her illicit lover, and at times, he is her legitimate husband. In this poem, she writes of her wandering, in search of Siva. Her travels took her to various parts of India, where, traveling naked and forlorn in search of her true love, Akkamahadevi often had to ward off molesting men and the harsh criticism of other wandering saints who were aghast at her imprudent nakedness. I wandered through unlikely worlds. Source: “O mother I burned.” In Speaking of Siva. Translated by A. K. Ramanujan. London: Penguin, 1973. I’m no woman, brother, no whore. Who have you taken me for? Are faces to be shunned, see brother. Source: “Brother, you’ve come.” In Women Writing in India, 600 B.C. to the Present. Vol. 1. Edited by Susie Tharu and K. Lalita. New York: The Feminist Press at The City University of New York, 1991. Janabai was born around the 13th century in Maharashtra in a low-caste sudra family. As a young girl she was sent to work in the upper-caste family of Namdev, one of the most revered of the bhakti poet saints. While within this household, she continued to serve Namdev, both as a servant and as his devotee. Janabai wrote over three hundred poems focusing on domestic chores and the restrictions facing her as a low-caste woman. In the following poem, Janabai, a 13th century poet from a low-caste surda family, presents herself as shrugging off social conventions enshrining women’s honor (covering her body) and taking up musical instruments (cymbals and the veena) to go sing and dance in the marketplace. Janabai, though a low-caste woman, was brought up in the household of Namdev, a popular poet-saint, and thus treated with a certain amount of respect in light of the egalitarian ethos of Namdev’s message. Nonetheless, she is still well aware of her “place” in society; she is a servant, one who is perhaps more aware of social conventions because of her associations with Namdev, and is here apparently flaunting these very conventions, imagining herself as a woman who is utterly outside the bounds of respectability. Shedding these bonds of respectability, she is left with nothing. In essence, there is nothing standing between herself and her Beloved Vithoba, another name for Krishna, incarnation of the god Vishnu in human form. who dares to stop me? Source: “Cast off all shame.” In Women Writing in India, 600 BC to the Present. Vol. 1. Edited by Susie Tharu and K. Lalita. New York: The Feminist Press at The City University of New York, 1991. Mirabai, or Mira is said to have been born into a ruling Rajput family. Mirabai’s poetry tells of her vision of Lord Krishna when she was a child; from that point on Mira vowed that she would forever be his bride. Despite her wishes, she was married into another princely family at a young age. 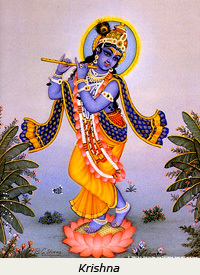 Yet the numerous legends surrounding Mira tell of an undying devotion toward Krishna, her true husband. Central to these accounts are Mirabai’s struggles within the family she had been married into, including unsuccessful attempts made by her jealous husband to kill her. Others focus on her sisters-in-law’s efforts to obstruct Mirabai in her desires to join the company of wandering saints, actions deemed utterly improper for a woman of her high-caste status. Eventually, Mirabai left her husband and family in pilgrimage to various places associated with “her Dark Lord,” including Brindavan, Krishna’s holy city. There she was initially rejected because she was a woman. Yet Mirabai’s reputation of devotion, piety, and intellectual astuteness eventually led to her inclusion within the community of the saints of Brindavan. 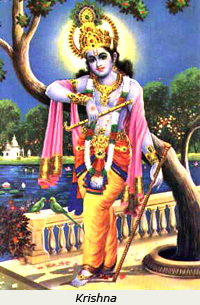 Mirabai’s poetry portrays a unique relationship with Krishna; in it, she is not only the devoted bride of Krishna, but Krishna is ardent in his pursuit of Mira. Because of Mirabai’s singular focus and intense devotion of her Husband, the “lifter of the mountain,” she can be perceived as simply upholding the “wifely” duties of women and patriarchal norms in general. On the other hand, she remains for many a symbol of resistance of social order of the day. In Caturvedi 42, Mirabai (ca. 1498–ca. 1546), famous devotee of Krishna, speaks of her struggles within the domestic sphere, particularly with her in-laws, as a high-caste woman who chooses to defy conventional expectations and family roles. Here we see how her extended family through marriage is attempting to dissuade Mirabai from her associations with fellow devotees of Krishna. Her in-laws (particularly the king, the rana) are said to have attempted to poison Mirabai who was breaking all societal norms in search of her true love, Krishna. Krishna, here presented as the “Mountain Lifter,” refers to a story of Krishna widely known in Rajasthan, where Krishna held up Mount Govardhan to protect the cattle and herders from the rain-god Indra’s wrath; Indra’s anger was directed at the people of Braj because they turned their devotion away from him and toward Krishna instead. Why would I want anyone else? Source: “Life without Hari is no life, friend.” In Songs of the Saints of India. Edited and translated by John Stratton Hawley and Mark Juergensmeyer. New York: Oxford University Press, 1988.
and the Lord of Braj was the groom. and I became unshakably his bride. From living past lives, a prize. Source: “Sister, I had a dream that I wed.” In Songs of the Saints of India. Edited and translated by John Stratton Hawley and Mark Juergensmeyer. New York: Oxford University Press, 1988. People believe I am ill.
How can he diagnose my pain? It’s in my heart that I am afflicted. Don’t force your medicines on me. Mira’s Lord is Giridhar Naagar. He will feed me nectar again and again. Source: “I am pale with longing for my beloved.” In Women Writing in India, 600 B.C. to the Present. Vol. 1. Edited by Susie Tharu and K. Lalita. New York: The Feminist Press at The City University of New York, 1991.
colored with the color of my Lord. The clever Mountain Lifter is the lord of Mira. Source: “I’m colored with the color of dusk, oh rana.” In Songs of the Saints of India. Edited and translated by John Stratton Hawley and Mark Juergensmeyer. New York: Oxford University Press, 1988. Bahinabai or Bahina was a poet-saint from 17th century Maharashtra, writing in the form of abangas, women’s songs that accompanied their labors, especially in the fields. 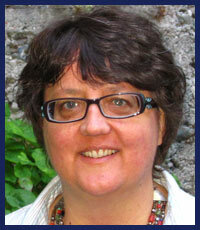 Her writings are particularly autobiographical, recounting her childhood, puberty and married life. Despite having obvious conflicts with her husband due to her overarching and ecstatic love for her Divine Lover in the form of Lord Vithoba, another name for Krishna, she took her role as wife and responsibilities to her earthly husband seriously. Her husband was also critical of her allegiance to the bhakti poet-saint Tukaram. Nonetheless, her poetry reflects an attitude of duty and respectful empathy toward both her marriage and her spouse. This becomes clear through her writings on the responsibilities of women toward their husbands. Though highly unusual, it is believed that Bahinabai received some classical training from her father, a Brahmin scribe. Her poetry recounts visions she experiences of the low-caste poet-saint Tukaram; despite her high-caste status, she became his devotee, thus choosing the path of devotion over brahmanical norms of ritual purity. The possibility of Bahinabai’s Vedic training, or training in Hindu religious hymns, comes to the fore in her 17th-century poetry, in that she consistently refers to the Vedas and their regulations on married life. In this abhanga, a song that accompanied women’s work, readers become aware of Bahinabai’s anguished decision-making process. The Vedas are clear on the duties of women toward their husbands, particularly women’s deference to their husband’s wishes. But Bahinabai is called to a different life, a different object of affection and duty than her husband, namely, reverence and affection toward her teacher, the low-caste poet-saint Tukaram. Bahinabai’s husband initially scorned Tukaram and stressed the invincibility of the Vedas and Vedic rituals over and against Tukaram’s message of devotion over ritual. 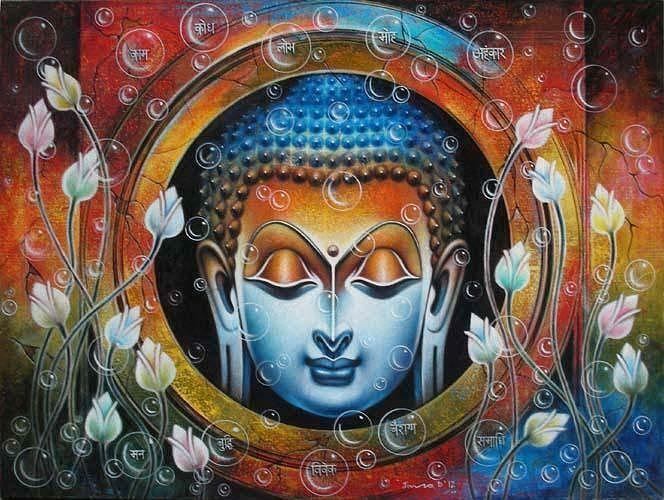 thereby one can never acquire the supreme spiritual riches. but my love was for the worship of God (Hari). Source: McGee, Mary. “Bahinabai: The Ordinary Life of an Exceptional Woman, or, the Exceptional Life of an Ordinary Woman.” In Vaisnavi: Women and the Worship of Krishna. Edited by Steven J. Rosen. Delhi: Motilal Banarsidass, 1996.
husband. Thou, O God (Meghashyama) must thus think also. The Supreme spiritual riches are surely not contrary to the Vedas. Therefore, think of this purpose of mine. Says Bahini: ‘Oh God (Hari), think at once of my longing, by which I can accomplish both. Feldhaus, Anne, ed. Images of Women in Maharashtrian Literature and Religion. Albany: SUNY Press, 1996. This volume includes a number of important translations of women’s poetry and folk songs from Maharashtra, one of India’s largest states. Johnsen, Linda. Daughters of the Goddess, The Women Saints of India. St. Paul, MN: Yes International Publishers, 1994. A very readable, popular account of contemporary women saints of India. Manushi: Tenth Anniversary Issue, Women Bhakta Poets. No.s 50-52. 1989. Manushi was founded in 1978 by a group of women scholars and activists in India. This particular issue focuses specifically on women in the Bhakti movement. Narayanan, Vasudha. “Brimming with Bhakti, Embodiments of Shakti: Devotees, Deities, Performers, Reformers, and Other Women of Power in the Hindu Tradition.” In Feminism and World Religions. Edited by Arvind Sharma and Katherine K. Young. Albany: State University of New York Press, 1999. 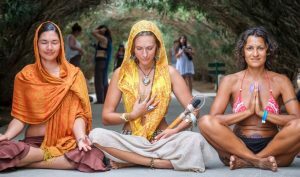 This article questions whether the women who were a part of the Bhakti movement can be best understood within the later feminist movement. Ramanuja, A. K.. “On Women Saints.” In The Divine Consort Radha and the Goddesses of India. Edited by John Stratton Hawley and Donna Marie Wulff. Berkeley: Graduate Theological Union, 1982. 316-24. A good introductory reading on women within the Bhakti movement. Sangari, Kumkum. “Mirabai and the Spiritual Economy of Bhakti,” Economic and Political Weekly. July 7, 1990, 1464-75 and July 14, 1990, 1537-52. An excellent historical critical essay on the Mirabai of myth and history. Sharma, Arvind, ed.. Women Saints in World Religions. Albany: SUNY Press, 2000. Abbot, Justin E., tr.. Bahina Bai: A Translation of Her Autobiography and Verses. Pune: Scottish Mission Industries, 1929. An important early 20th-century translation from Marathi, the language of the state of Maharashtra in India. Alston, A. J.. The Devotional Poems of Mirabai. Delhi: Motilal Banarsidass, 1980. An introduction to and translation of 200 of Mirabai’s poems. Hawley, J. S. and Mark Juergensmeyer. “Mirabai.” In Songs of the Saints of India. Oxford: Oxford University Press, 1988. 119-142. An important volume that includes a scholarly focus on the historical Mirabai, in addition to Hawley’s own translation of 22 of Mirabai’s poems. Menezes, Armando and S. M. Angadi, tr.. Vacanas of Akkamahadevi, with the original text in Kannada. Dharwar, M. A. Adke, 1973. This translation covers 315 of Akkamahadevi’s poems and includes the original Kannada language (from the state of Karnataka in India), with an introduction and notes to accompany the poetry. Ramanan, Mohan. “Andal’s Tirupavai.” In Journal of South Asian Literature. 24:2 (Summer/Fall, 1989). 51-64. Selections and translations of Andal’s poems from the Tamil language, the official language of the state of Tamil Nadu in South India. Ramanjuan, A. K., tr.. “Mahadeviyakka.” In Speaking of Siva. London: Penguin Books, 1973. A. K. Ramanujan’s translations of Mahadeviyakka’s poems, from the Kannada language. Ramanujan, A. K.. “On Women Saints.” In The Divine Consort: Radha and the Goddesses of India. Edited by John Stratton Hawley and Donna Marie Wulff. Boston: Beacon Press, 1986. Ramanujan’s overview, analysis, and comparison of the lives of women saints in India, including that of Mirabai. Rosen, Steven J., ed.. Vaisnavi: Women and the Worship of Krishna. Delhi: Motilal Banarsidass Publishers, 1996. Shelling, Andrew. For Love of the Dark One: Songs of Mirabai. Illustrated by Mayumi Oda. Boston: Shambhala Publications, 1993. A translation of 220 of Mirabai’s poems including a brief introduction to Mirabai and the poetry itself. Tharu, Susie and K. Lalita, eds. “600 B.C. to the Early 20th Century.” Vol. 1 in Women Writing in India: 600 B.C. to the Present. New York: The Feminist Press at The City University of New York, 1991. 77-98. A theoretical and historical overview of the Bhakti movement at large as it pertained to women, with numerous translations of women bhaktas. An extensive website devoted to women’s voices, pre-1700s from around the world, including a selection of Akka Mahadevi’s poetry in the Tamil language from South India. An extensive website devoted to women’s voices, pre-1700s from around the world, including a selection of Antal’s writings in the Kannada language from India. A website devoted to Vaishnavism, a dominant strain within Hinduism. Andal was one of the Alvar Saints of South India. “Tiruppavai” (Andal’s first work), here presented in both the Kannada language and English literal translation. This email, part of a larger discussion from Tamil.net, focuses on Andal’s poetry, including her poems “Thiruppavai,” “Thiruvempavai,” and “Thiruppalliyelucci,” translated from Kannada by N. Ramani. An extensive website devoted to women’s voices, pre-1700s from around the world, including a selection of Mirabai’s poetry in English, originally from the Gujarati language. An excellent article by Madhu Kishwar, Senior Fellow at the Center for the Study of Developing Societies in Delhi, India, and founding editor of Manushi—A Journal about Women and Society from India. This article focuses on female “moral exemplars” or “role models” from within the Hindu tradition, from the divine feminine creative energy known as “shakti,” village goddesses, Pan-Indian goddesses (devis) such as Parvati, Sita, and Durga, as well as bhakti poets, including Mirabai (spelled Meerabai in this article) and Antal (here spelled Andal). This entry was posted in History, Literature, Poetry, Religion. Bookmark the permalink.